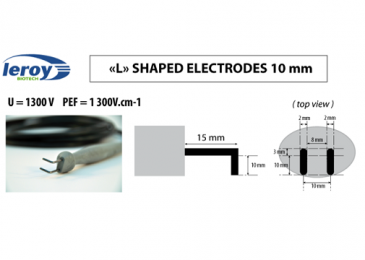 L-shaped electrodes are specially designed and manufactured for the treatment of all sizes of skin tumors. 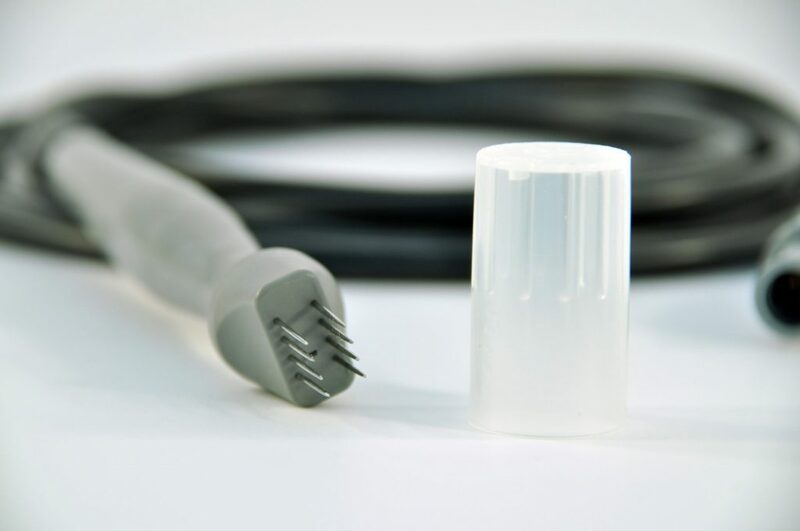 These electrodes can be sterilized in an autoclave hundreds of times. 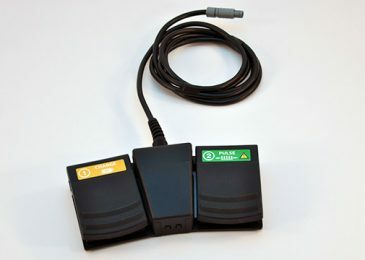 They come with a 3m cable that is light and easy to manipulate. 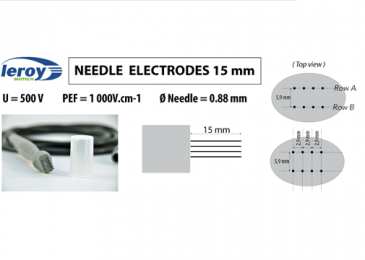 Needle electrodes are specially designed and manufactured for the treatment of subcutaneous tumors. 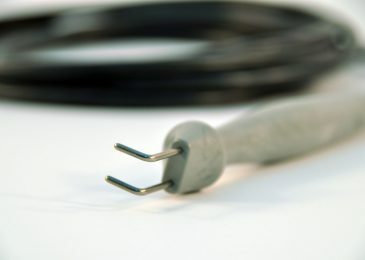 There is a space of eight milimeters between the two rows of four needles. 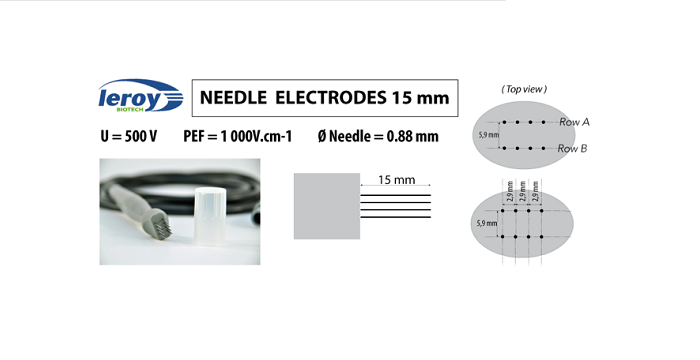 Each needle is spaced two milimeters apart. 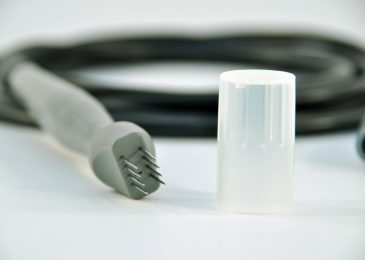 These electrodes can be sterilized in an autoclave hundreds of times. 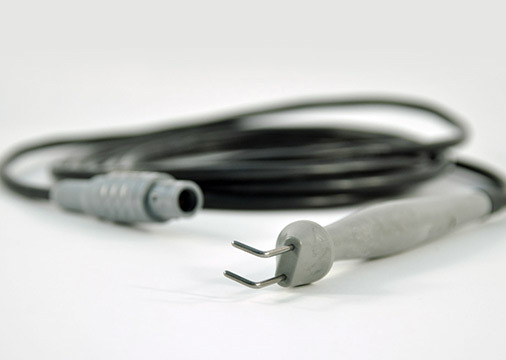 They come with a three meter-long cable that is light and easy to manipulate. 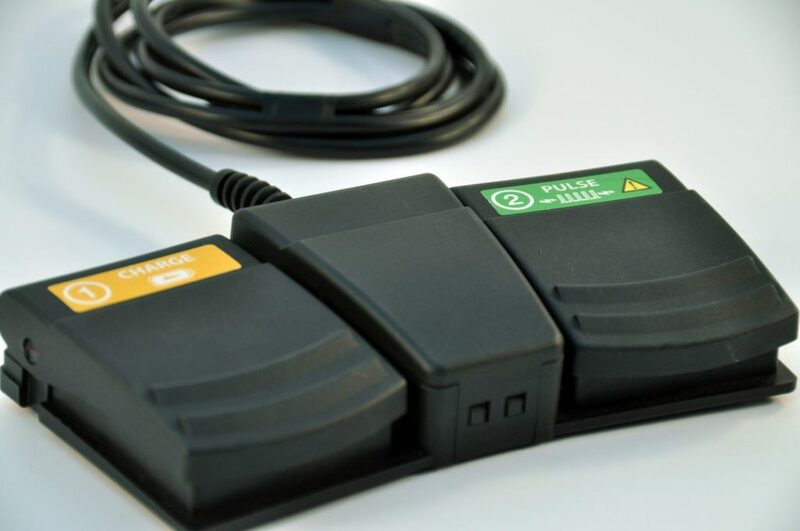 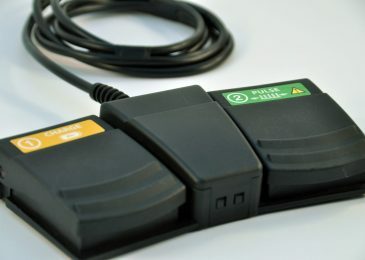 This double foot switch is used in the new generation of ELECTROvet to charge the capacitors (left pedal) and trigger delivery of electrical pulses (right pedal). 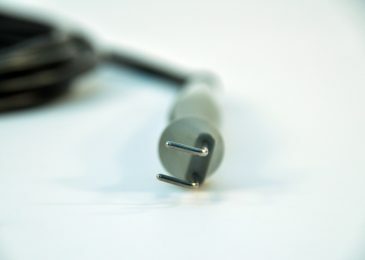 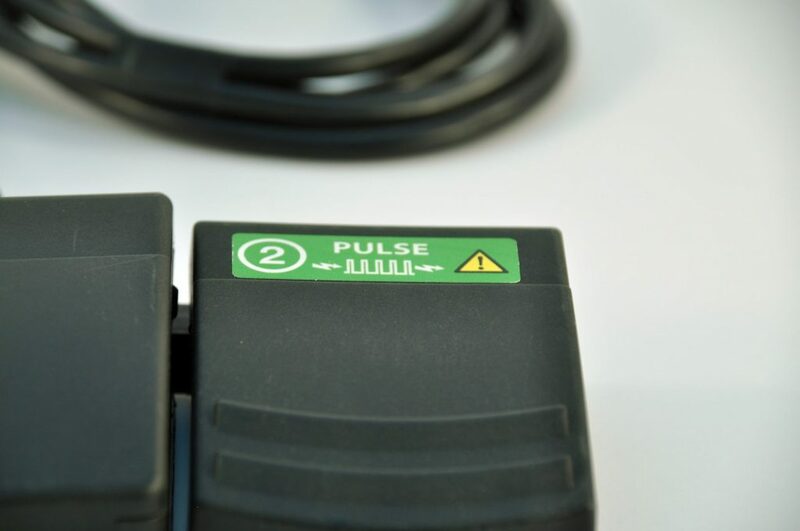 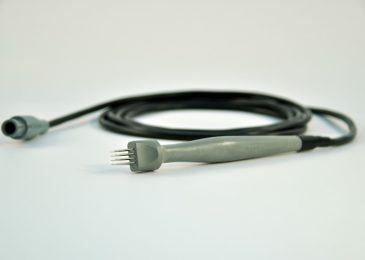 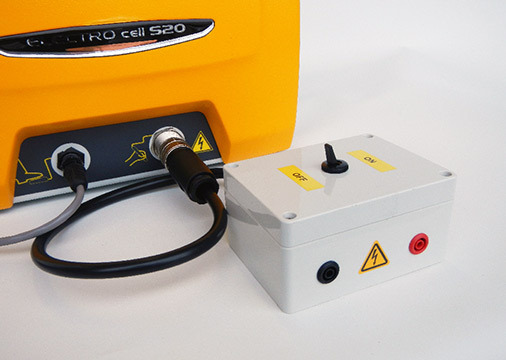 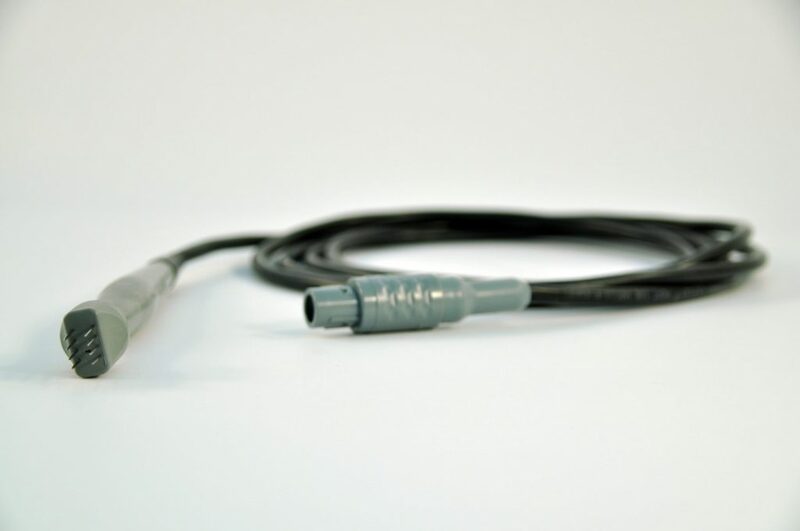 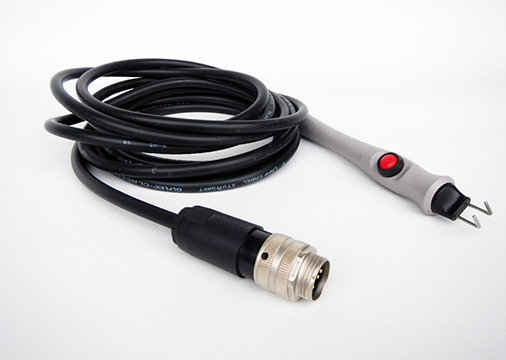 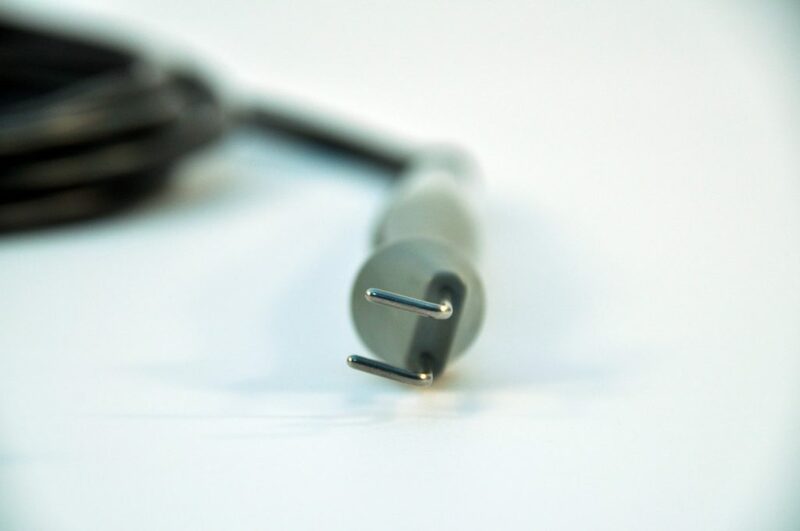 The interconnection box allows you to connect any type of electrode to the ELECTROvet EZ and S13. 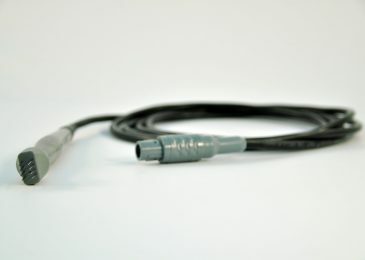 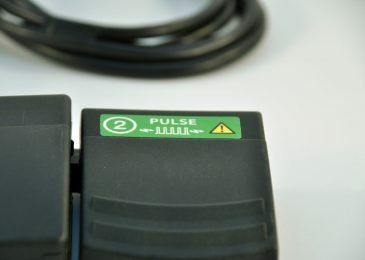 The box is equipped with two connectors and an ON / OFF switch on the first S13 generation. 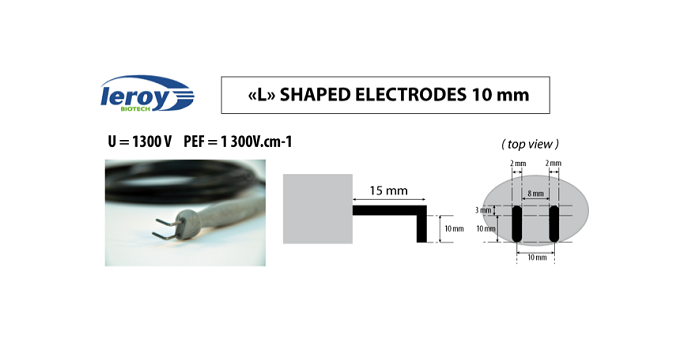 “L” type electrodes for ELECTROvet S13 (first generation) are manufactured for the treatment of all sizes of skin tumors. 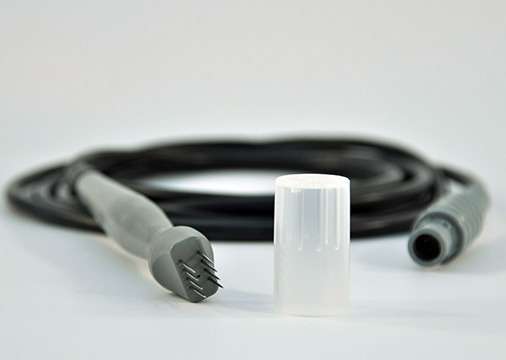 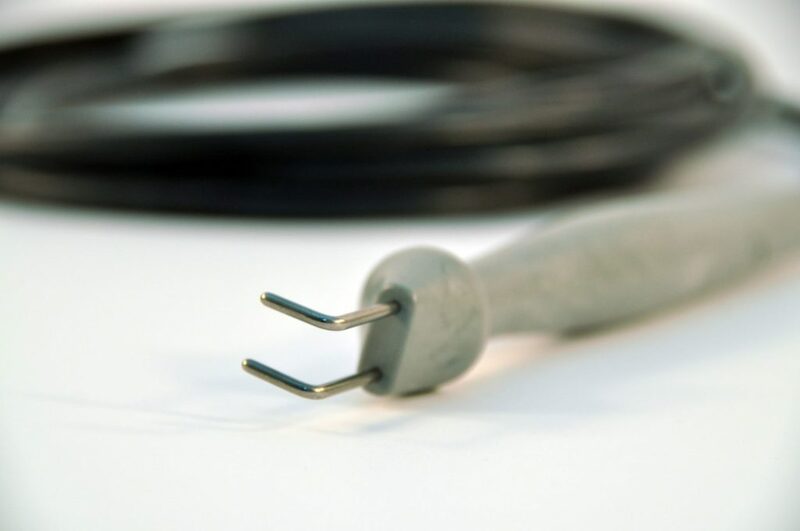 These electrodes cannot be sterilized and are equipped with a 3m cable. 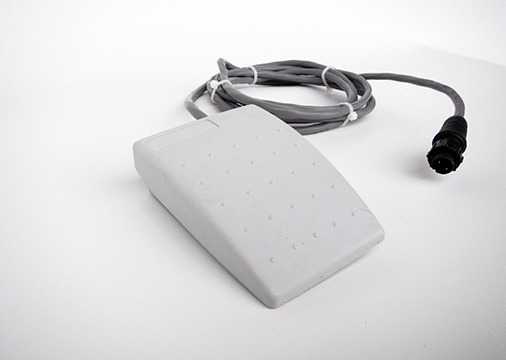 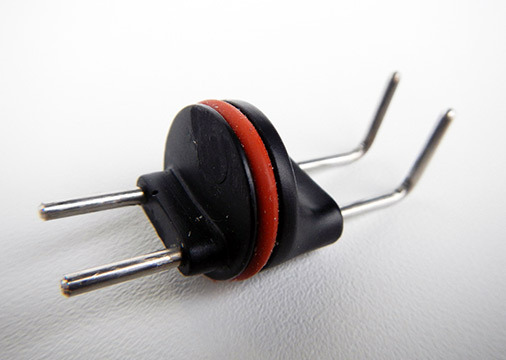 This single foot switch is used in the first generation of ELECTROvet S13 to charge the capacitors. “L” heads fit the electrode holder of the first generation of ELECTROvet S13.